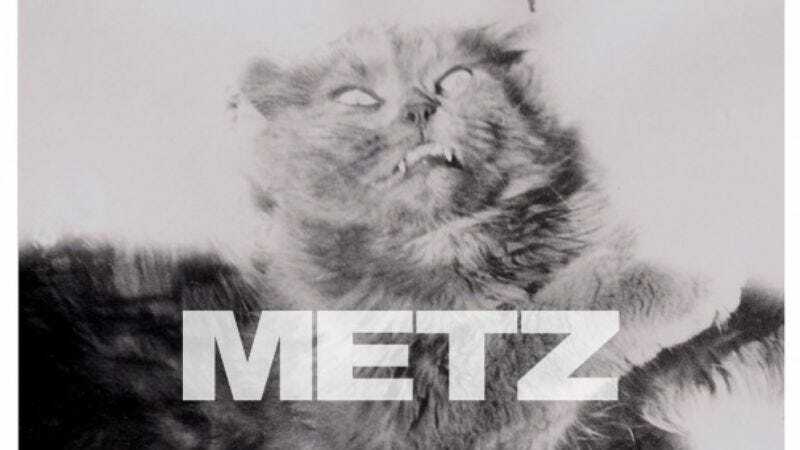 Canadian garage-punks Metz have been tearing it up this year. After putting out an excellently raucous self-titled debut, the band is set to release a new 7-inch complete with striking artwork Dec. 4 via Sub Pop. “Dirty Shirt,” the banger of a B-side to the single “Leave Me Out,” contains dissonant guitars, pounding drums, and the frantic yells of singer/guitarist Alex Edkins.